Started his professional career in 1982 at Baxter. At Head Quarters level, he was part of the manufacturing review team for all European production sites. Between 1984 and 1986, he went to the UK where he closely worked with Production Planning, Warehouse and Distribution departments. In 1986, he joined KPMG where he led Supply Chain assignments in various environments providing him with deep insight in the challenges faced by as well privately held companies as public bodies. As 1990, he served as a Partner at Team Consult where he managed the Supply Chain practice. 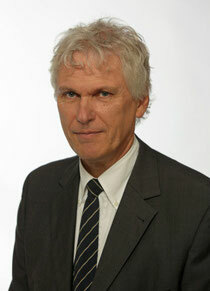 In 1995, he worked for the Belgian Post Group as General Manager Point of Sales. In 1998, Jean-Louis founded an Executive Search practice specialised in Supply Chain assignments. He obtained a Master's degree in Economics from the University of Brussels as well as a postgraduate degree from Solvay Business School. He also graduated from ELA (European Logistics Association) as European Senior Logistician in 1998.